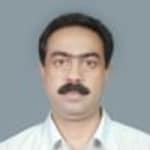 Dr. B K Biswas is a popular Dentist in Lake Town, Kolkata. He has been a successful Dentist for the last 32 years. He is a qualified MDS, BDS . You can visit him at Avinash Dental Clinic in Lake Town, Kolkata. Book an appointment online with Dr. B K Biswas and consult privately on Lybrate.com. Lybrate.com has a nexus of the most experienced Dentists in India. You will find Dentists with more than 36 years of experience on Lybrate.com. You can find Dentists online in Kolkata and from across India. View the profile of medical specialists and their reviews from other patients to make an informed decision. I had gone through rct fully (with permanent filling. Today. There is mild pain and some discomfort. Can you please tell what are the tips post rct. And my doctor suggested me to do capping as well. Please also tell do capping hurts. Normally there is no pain after rct if it persists contact your Dr. again to reevaluate the rct yes a cap is recommended after rct as it provides strength to rct tooth n it's not painfull to take it. I am 28 years old. From last 2 years my right sided tooth is being pained seldom which remains weeks. I am also being pained by same sided neck and eye. I want to know the problem and solution. Pain from teeth may be radiating to neck, eyes. You must get root canal treatment of painfull tooth immediately. My teeth one side is paning when digging foods my one side teeth has paining why. Pimple like something appears on the root of my teeth and then a liquid starts flowing out of it please give me suggestion to get rid of it. Well in this case you might be suffering from tooth abscess or dental abscess. It is caused by any trauma in mouth causing dislodged or fractured tooth followed by bacterial infection over it thus accumulation of pus is there. You should immediately consult local dentist for root canal treatment in which damaged tissue is removed wth pus drainage. I want clean my teeth. So please provide me best advice for it. My teeth is strong but not looking gud. Sawing type of yellow sad. It needs to be done scaling and polishing by a dentist. As the deposits are too firm to be removable by any application. It needs special instruments. Feeling pain in my teeth from last two month. What should I do to make my teeth and guns healthy naturally. You should first take check up and find out if there is caries of teeth. Then consult for homoeopathic treatment. Im 26 male, unusual secretion of saliva in mouth n I unable to stop myselfin swallowing it, least once in a minute, from last 3 yrs, getting thinner, weaker day by day, mental disturbance, cant concentrate. Loosed confidence, career destroyed. Please help me out. Kindly consult a dentist in person for further suggestion. We need more investigations (full mouth x-ray) to decide upon treatment. You may consult me in person. Dental tips: - visit a dentist every six months for cleaning and a thorough dental check-up. Limit sugary food to avoid tooth decay. Gargle your mouth thoroughly after every meal. Scrub gently to clean your tongue with a tongue cleaner. Floss all your teeth inter dentally & brush twice daily, morning & night, up & down short vertical strokes, with ultra-soft bristles, indicator brush. I have a problem with my teeth, they feel less stronger, gums pain and there is a sensitivity. Please suggest. Hi you have gum disease known as gingivitis with plaque deposition. You need to go for cleaning and scaling. Once your plaque will be removed gums inflammation will subside. And teeth will be strong again. Hi, I had no pain but I visited to dentist for cleaning. She found that I have multiple caries and I am just 25. So I got fillings. I have 6 fillings mostly on molar and all are on molar biting surface. I read the prescription it was GIC restoration they cost me 500 per each fillings. I had no issue but I read about GIC and found that it's not strong for stress bearing area. I contacted back to dentist to ask how deep my fillings were and why they used GIC. Firstly the person who did had left the clinic but other Dr. Told me that it's 3M quality GIC and its durable and they did xray but fillings was not visible in xray. I don't know but since from that day I'm having high anxiety of loosing teeth or loosing fillings. It's been month but still my condition is same, can't sleep, not eating much. I request you to please share your experience how long do you think that GIC can stay, the fillings are on the biting surface middle covered with teeth wall. I'm maintaining my oral hygiene doing brushing, flossing and I've also stopped eating any sugary food. Please suggest doctor your answer and suggestion may help me to come out through my anxiety. Hi. You do not have to worry, GIC can be used as filling material. When we compare strenght with anyother filling material GIC stands low which does not mean this can not be used. This may last average of 3 to 4 years. Take regular visit to your dentist to check status of your filling. If fillings are fractured you can get new fillings done on your same tooth only if your tooth is healthy. Thank you. I am facing a problem of bad breath I brush twice a day yet problem is still there What should I do. You need to get scaling (cleaning) done so as to remove all the plaque and calculus, the gum bleeding, pus and bad breath would regress over a period of 10-15 days. Also do clean your tongue properly and use a good mouthwash as well.